Here at Reed Signs we are experts in the production of a wide range custom printed self-adhesive vinyl stickers and decals in any size or shape, making us your one-stop shop for custom vinyl stickers in Melbourne. Depending on what your requirements are our stickers can be printed onto a vinyl with either a removable or permanent adhesive and we can contour-cut the finished product to shape also. There is no additional charge for full-colour printing and for added protection the decals can be laminated if required. Our custom vinyl stickers are suitable for indoor or outdoor use and are digitally-printed, making them perfect for short runs or smaller quantities (up to 100x). A niche area that we specialize in is the reproduction of early oil company decals as used on antique petrol pump restorations. 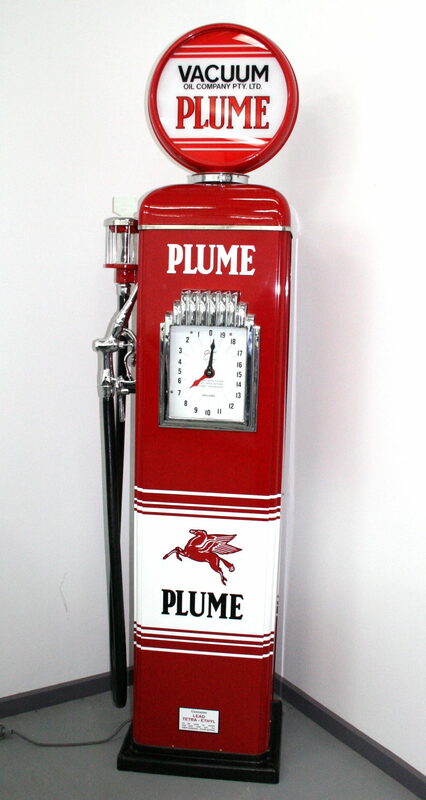 We are one of Australia’s leading suppliers of petrol bowser stickers and have faithfully reproduced many vinyl decals for old gas pumps, oil cans and petrol bowsers, helping restorers create authentic looking restorations.